It took just 62 days for Wilbert Lee O'Daniel to go from being a hillbilly flour salesman on the radio to the most powerful politician in Texas. While O'Daniel never achieved any major historic accomplishments while in office, he was fantastically talented at generating controversies and winning elections. But even his critics say O'Daniel is deserving of a place in Texas history today because he provides an admonitory anecdote about democracy. He is proof of the power of demagoguery in an election. “It is a cautionary tale in that you need to make sure the folks can do what they say they can do and what they say they can do is not only lawful and constitutional but practical,” said Chuck Bailey, the former chief of staff for Lt. Governor Bob Bullock and the author of Picturing Texas Politics. O'Daniel won the Democratic nomination for Texas Governor in 1938 in an age when Texas was a single party state. There essentially was no Republican party due to lingering resentment to Reconstruction and the Civil War. But when the dust began to settle after O'Daniel’s runaway primary victory it became clear that the voters’ choice of an armature politician gave them just that. It didn’t take long for Pappy to start tripping over his own feet while trying to quickly master the Double Lindy of crafting public policy. One of his first missteps was the unusual move of endorsing a slate of candidates for the Democratic primary run-off. The endorsements were in favor of the longtime veteran politicians and against the more liberal reformers. It was the first flash of O'Daniel’s true colors and was a clear contradiction to his own election battle cry of throwing out the professional politicians. Pappy also drew curious frowns from the public when he named a governor’s advisory committee, which consisted entirely of representatives of big business. Another early public relations fumble for O'Daniel was his attending a Fort Worth $100- a-plate dinner in his honor. O'Daniel's quips fell flat when he said if you can’t afford the dinner there’s 15 cent chili in the basement. But it took O'Daniel’s first public speech as governor, which was just days after his massive inauguration, to completely knock the bloom off his honeymoon rose. “He didn’t deliver anything,” said writer Bill Crawford, author of Please Pass the Biscuits, Pappy. He said O'Daniel had made some big campaign promises. Now he had to explain how he was going to pay for them. “He was probably the most ineffective governor that Texas has ever seen. He didn’t actually do anything. He promoted certain policies like old age pensions and certain things but the legislature hated him and they weren’t going to cooperate with him,” said Crawford. A check for $30 a month for everyone over 65 – that was the campaign promise that O'Daniel made. But he never said how the state would pay for such an expense that was estimated to cost $40 million a year. But in O'Daniel's first address to the legislature he then said the pension would have a means test – and only those seniors who earn less than $30 dollars a month would qualify. And he said a state transaction tax would pay for it. While on the campaign trail O'Daniel had also promised to prevent a sales tax from being put in place in Texas. It was seen as a tax that burdens the poor more than the wealthy. The majority of state lawmakers expressed their disgust with the proposal. Senator Joe Hill of Henderson called the speech a victory for the predatory interests that for the last 20 years have been trying to pull over a sales tax. Senator W.C Graves of Dallas called the plan a tax on poverty. But O'Daniel was dead set on finding a funding mechanism for the now reduced pension plan and he was sure he could make it happen through the power of the radio. Wilbert Lee O‘Daniel was a two term Governor of Texas and a U.S. Senator. But before, during and after that, he was a flour salesman on the radio with a hillbilly band. O‘Daniel ran for Governor as a successful businessman who was sick and tired of professional politicians and fed up with corporate media. The political establishment thought O ‘Daniel was a joke until he beat them – and changed politics in Texas. You may wonder why the ornate entry gate at San Antonio’s Japanese Tea Garden instead says “Chinese Tea Garden.” The reason links back to a Japanese-American family who once lived in the garden, and altered forever by dramatic events in World War II. The story is a fascinating one, and begins back in 1908 when the future Japanese Tea Garden was just a great big, gaping hole in the ground. It was the remnants of a cement quarry. 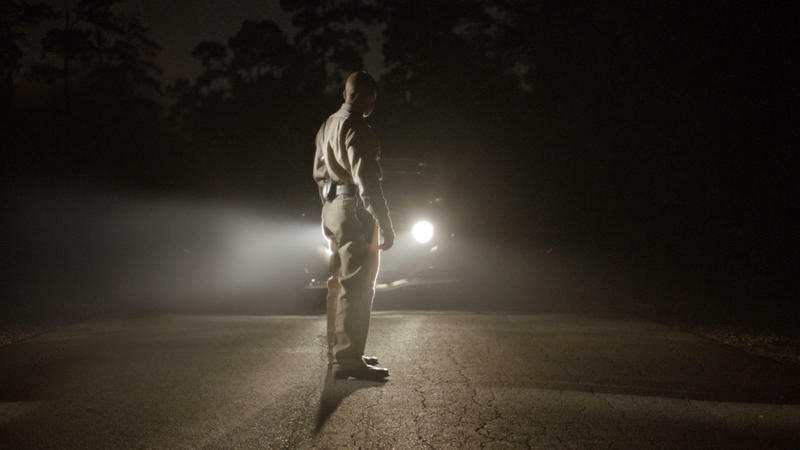 A new film by a Houston director is examining a dark period of Texas history. “The Example” is a fictional story, set during the 1943 race riots in Beaumont, a small city in southeast Texas. The movie tells the hypothetical story of a black family trying to flee the riots and having a nearly tragic encounter with a couple of white policemen on a quiet country road after dark.